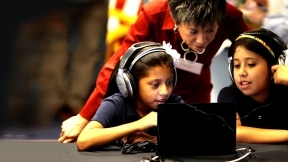 Comcast and the U.S. Department of Housing and Urban Development’s (HUD) ConnectHome initiative took an historic step to close the digital divide in America. As of this month, public housing and HUD-assisted residents living in Comcast’s service area are eligible to apply for Internet Essentials, the company’s high-speed internet adoption program for low-income families. Including homes covered by Comcast’s pilot public housing expansion announced in March, an estimated total of up to 2 million HUD-assisted homes, including Public Housing, Housing Choice Voucher, and Multifamily programs, will now have access to low-cost internet service. With this new expansion, approximately 480,000 Hispanic families will now be able to benefit from this program. In Illinois, nearly 175,000 families could benefit from this new expansion. Of these, approximately 42,000 are Hispanic and 22,000 are living in the city of Chicago. Currently, only 65.9 percent of Hispanic homes have high-speed internet access compared to 76.2 percent of the white population. Furthermore, a recent study from the U.S. Census Bureau found that 79.7 percent of Hispanics have a computer at home but only 66.7 percent of these have internet access. From August 2011 through December 2015, Internet Essentials has connected more than 600,000 low-income families, benefitting more than 2.4 million Americans to the internet at home. 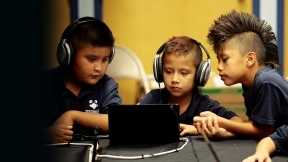 Up to 60 percent of the total number of people currently benefited by the internet essentials program are Hispanic. For more information, visit www.InternetEssentials.com.